Home > Archive by Category "Safety"
Yup. Every 43 seconds, a vehicle gets stolen in the USA according to data from the FBI. That number is insane, considering all the high-tech security alarms in cars and cities armed with millions of CCTV’s. But, car thieves seem to adapt to new technology as fast as security experts can think of them. Following these steps can help you put things in perspective. Before you freak out and panic, make sure that your car is really missing! Think about where you parked. Was it a few levels up or down? Could you have stationed in a different building altogether? Parking lots have numbered “zones” painted on the floors, walls, and pillars (A-5, E-17). There’s a real chance you may have just forgotten exactly where you parked. Ask building security if they can help you track your car using the security video feed. Lastly, did you let someone borrow your car? 2. Maybe You Got Towed? Illegal parking can lead to parking tickets and your car getting towed. If you did a little curbside parking and your car isn’t in a spot where you parked, check with the impound lot first before calling the cops. By checking the local impound, you won’t have to fill out a police report, which saves everybody time. If your initial search fails and there’s no trace of your car, it’s time to report the incident to the police. Make sure you give the officer all the vital details of your vehicle and the event. You should be ready with your car’s VIN number, make, model, year, color and any unique identifying marks like a custom paint job or decals. Taking your car’s documentation with you is a good idea and can save you extra trips to the police station. You should also try to recall everything that happened on the day of the car theft. The date, time, location, weather, the people you met, etc. are critical. After filing a police report, you need to call your insurance company to let them know that your car is missing. Get your policy number ready and fill the insurance adjuster in on precisely what happened. What you reported to the police would do. Try to recall anything valuable inside the car when it got stolen. Your wallet, phone, laptop, designer sunglasses, house keys, documents, checkbooks, etc. What you get out of your insurance claim will depend on your coverage. Call your bank if your credit cards are missing and change all the locks in your house if you left your house keys in the stolen car. Go online and search for your car on Craigslist and other used car sites. There’s a small chance your vehicle ends up for sale on the internet because there are a lot of people who prefer to buy a used car. Just don’t confront or meet up with the suspects. Tell the cops what you found. 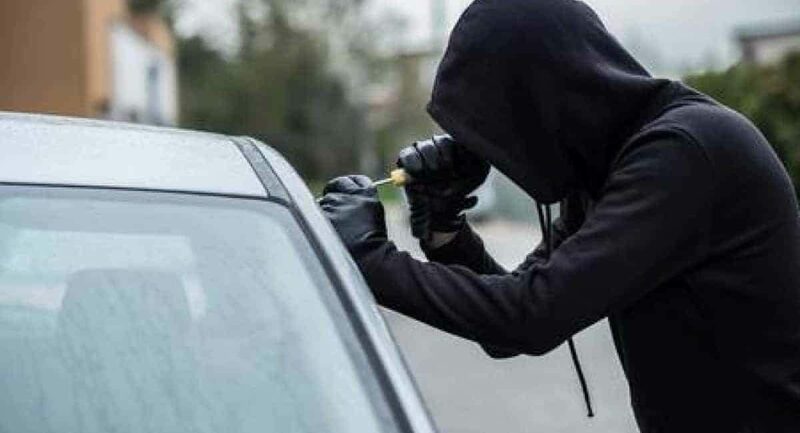 After taking all the steps outlined above, all you can do is sit back and let the authorities handle the case as car theft is common in the USA. Remember that when you report a stolen car immediately after the theft, the chances of recovering it are higher. How do you stop someone from getting their hands on your brain? Cloned apps steal around 10% of an app developer’s userbase on average. Protecting your app idea can be an uphill struggle in a competitive and even unscrupulous marketplace. To achieve it, you need to know what tools you have at your disposal. Here’s how to protect an app idea made simple. Can You Copyright an App Idea? The most basic protection that applies to any creative work is copyright. Copyright is automated and applies as soon as your work exists in fixed form. But that last part is the key. Ideas are—in a word—worthless. You can’t copyright an idea. For that, you need to “fix” your idea. In an app’s case, that means you need to start work on coding to make your app a reality. Once you’ve built your app in your app maker, your app will fall under copyright protection. Even then, the basic idea of your app will never fall under copyright. Your copyright will only apply to the expression of that idea. So another app can’t use your code, assets, or content, but it’s free to exploit the same basic idea. Another method of protecting your app idea is through patents. But patents are much more complex than basic copyright protection. As with copyright, you can’t patent an idea. You need to show how your idea works and also how it differs from all the previous ideas currently patented. You’ll need to carry out a patent search to confirm your idea is unique. If you’re confident, you’ll then need exhaustive documentation of your idea. With that, you can submit a patent application. There’s no guarantee your patent will pass muster. And even if it does, your patent isn’t immune to legal challenges. If an app is already doing what yours will do, patented or not, they’ll be able to challenge your patent on the grounds of prior art. You may have noticed by now that protecting your app idea is pretty complicated. Patents are a high-grade solution for the simple act of protecting your work, and copyright can’t protect your idea until it exists in tangible form. So what can you do? The truth is that, in most cases, copyright will be enough to protect your app—but only its fixed form, not the basic idea. Copyright will give you the power to legally challenge anyone infringing on your creation. Given the saturation and level of crossover in the app market, patents can be more trouble than they’re worth unless your app does something truly revolutionary. How to protect an app idea isn’t always a straightforward issue. If you’re trying to protect your app, you need to remember that there are thousands of apps out there all trying to do the same. Has someone infringed on your intellectual property? You can find a lawyer to help you fight your case. Authorities in health recommend that people consume around eight cups of water per day. That number may be higher, depending on your physical makeup, activity level, and the climate you live in. But while people can generally agree on how much water to drink, there’s more debate on whether the type of water you drink is as important. In recent years, it’s become less of a debate, however. People can agree that filtered water is a better choice than tap water. But why is that the case? Is filtered water really healthier than tap water? Read on to learn why more and more people and drinking filtered water over tap, so you can make the most educated decision for yourself. This is the number one reason to drink filtered water instead of tap water. Tap water can be filled with several contaminants. These contaminants aren’t necessarily harmful in small amounts, but tap water can be poorly regulated. You can’t know the exact amounts of each contaminant in your water, which is why it’s best to filter the water before drinking. Contaminants can come from agriculture, industrial plants, urban runoff (car oil, gasoline), and even from the pipes in your home. If you don’t like the idea of not knowing what your drinking along with your water, then it’s time to start filtering your water. Have you ever drank water from the tap that tastes like toilet water or worse? How will you force yourself to drink eight cups of water each day if that water tastes terrible? Filtered water removes the harmful (and nasty-tasting) contaminants, leaving you with pure water that tastes just as water should. If you enjoy cooking or making coffee, you shouldn’t be using tap water. Tap water cooks differently than filtered water and can actually alter the taste of what you’re cooking. It is okay to use tap water if it’s going to be boiled because boiling it for several minutes will kill off the contaminants. But if you use water in sauces or soups, definitely go with filtered water. Your taste buds will thank us later. If you think this debate is pointless because you only drink fancy bottled water anyways—think again! Studies show that 64% of bottled water is actually just tap water. So you’re basically just paying a lot more for the same stuff you can get from your sink at home. If you like having a water bottle with you at all times, consider buying a reusable bottle and fill it at home with your filtered water instead of spending money on bottled water. Filtered Water vs. Tap Water: The Debate Is Over! There shouldn’t be a debate between filtered water and tap water. Unless you like the idea of drinking unknown and potentially harmful contaminants, it’s time to make the switch to filtered water. Looking for more helpful info on a wide range of topics? Check out our blog today! For new pool owners, many often wonder about the pool safety requirements they need to adhere to. If proper pool safety rules are not followed, there is the risk of drowning or spreading infectious diseases. Reports show that there are 9 million swimming pools (public and residential) in the United States. If pool owners follow proper safety measures, including the use of signs, it can go a long way in preventing accidents that fall under swimming pool liability. Swimming pool liability simply means you are legally responsible if something happens in your pool. It goes without saying that swimming pool liability is pretty much straightforward when it comes to public pools. However, it is somewhat complicated for residential pools as both pool owners and the injured parties may have a case to argue. The injured party could argue there was inadequate supervision, willful misconduct or negligence on the part of the pool owner. On the other hand, pool owners can argue their case using trespassing laws. Pool ownership is associated with a lot of liability. In some cases, pool owners can be held liable even if they use signage and follow proper fencing precautions. Venture Pools in Dallas builds hundreds of pools a year and says that it’s extremely important for pool owners to get pool insurance. Pool insurance can help protect pool owners in the event of an accident leading to medical or legal costs. By following pool safety guidelines, you can make your swimming pool safe and enjoyable for both adults and children. First, let a pool contractor confirm that the depth of your pool water is sufficient enough if you are installing a slide. Use non-slip materials on the diving board, ladders and pool deck. There should be a barrier four feet or higher around the swimming pool with a lockable deck. This will help keep trespassers and children out of the pool. Be sure to clearly mark how deep the pool is. You can use safety slopes to show where the pool becomes deeper. Lastly, check the swimming pool to ensure it is well maintained and clean. Repair any broken railings or ladders and replace non-slip materials which are worn out. Owning a pool comes with its own risks and benefits. Insurance policies may help cover some of the risks but there are precautionary measures you can take to reduce the risk of tragedy. The following are steps you can take if you want to reduce swimming pool liability. Pool covers are an effective way to negate swimming pool accidents involving kids and prevent trespassers from swimming in your pool. It is advisable for pool owners to use covers frequently and not just when the pool is not in use. Using fences with lockable gates is arguably the best way to reduce pool risk. In addition, you can use a pool alarm to alert when someone is near the pool that shouldn’t be. Most states in the US have specifications regarding the fence height and gate specifications. Pool owners should ensure kids who are around pools are well supervised. Kids should not be allowed to swim unsupervised. Following the above pool safety requirements can reduce the risks that can lead to an expensive lawsuit. It is important for private pool owners to take precautions, such as a CPR class, which can be lifesaving in case of an emergency. Additionally, pools should be equipped with built-in ladders, and other safety measures, to help swimmers if an emergency arises. What are the items movers can’t move? There are various items that even the best movers won’t move. Some of the items are logical while others can come down to state laws. Professional movers may be prohibited either by ethics, safety standards or laws to move certain belongings. That said, below is a list of items you should not plan for movers to relocate. It is difficult for movers to relocate fresh produce long distance. While you may be able to pack a small amount in a cooler for your personal vehicle, it’s difficult for movers to keep food from becoming spoiled. Movers will be more likely to move food that is non-perishable. In addition, some states have their own laws regarding fresh food coming in from other states. Someone moving to Seattle is going to cross different laws then someone has different laws then moving to Phoenix. It’s the role of movers to safeguard your belongings. However, it’s your role to carry valuable items which may not be replaceable in case of loss. Such valuables include cash, jewelry, crucial documents among others. Keep such items in a safe and carry them in your own car. Movers have no insurance for valuable items, so they legally cannot be held responsible if there was no agreement on these items beforehand. Explosive items are likely to burn or explode thus presenting huge risks to everyone. Such items include gasoline, matches, black powder, igniters among many others. While some movers will relocate firearms, they won’t move the ammunition. Most movers are prohibited from moving explosives under safety standard laws. Pets are another big no! There are laws protecting animals, so they cannot be moved like the rest of your home. Pets have the right to safe transportation. The moving truck doesn’t have much ventilation, so this can cause your pet to possibly suffocate. If you need to move your pet, then consider carrying them in your own vehicle or hiring a professional animal mover. Movers are not allowed by interstate laws to move any type of plant. It’s against the law to move pants in a distance of more than 150 miles without a license from your State Plant Regulatory. The aim here is to reduce the spread of harmful diseases and pests attacking plants. Besides that, live plants are likely to wither and die due to moving conditions. Moving trucks have no special storage for plants since they are mostly covered by extreme weather conditions. If you are moving within your state, then it’s advisable to carry the plants on your own. Wrap them carefully to avoid any destruction. Hazardous materials include acids, chemical, aerosols, paints, fertilizers, batteries and more. The moving company will first provide you with a list of materials they cannot take before they pack your belongings. However, the good news is that you can easily dispose of such materials at a local waste collection center. Don’t make a mistake of trying to dispose of them on your normal garbage. They can be harmful to the public, which is a reason why movers won’t relocate them for you. Professional movers won’t move any powered equipment containing fuel. Examples include machines and motorcycles. You must first empty the fuel tank before professional movers move them. This is another item which requires a special license depending on the relocation state. Establish first whether your state allows moving of liquors before you pack them. In conclusion, there are a few reasons behind why movers are unable to move certain items for you. When it comes to the list of items movers can’t move, the reasons for each often come down to state laws, permits, and/or the mover not being comfortable relocating the items. Before you start the packing process, make sure your move complies with state laws to help ensure your movers relocate everything safely and lawfully. Roughly 300 billion emails are sent every day around the world. Many of those emails contain sensitive information that can have massive legal implications. Does your business deal heavily in the storing and transmission of trade secrets? What about customer data? If you answered yes to either of those questions, it’s important that you understand how to secure documents. No matter the contents of your documents or their medium (digital or paper), our team offers some practical advice on how you can best preserve sensitive information and avoid prying eyes. The lowest hanging fruit when it comes to avoiding the loss of pertinent data is to backup documents. You can backup your documents in a variety of ways. If your documents are paper, make a photocopy of them or digitize them. If your documents are digital, make digital copies of your documents and store them separately from your original. However you choose to do it, never have a single copy of something important. If you rely on a single copy, you’re setting yourself up for disaster. No matter where your digital documents are stored, ensure that their storage place is properly encrypted. Without encryption, a data thief could easily intercept sensitive information. 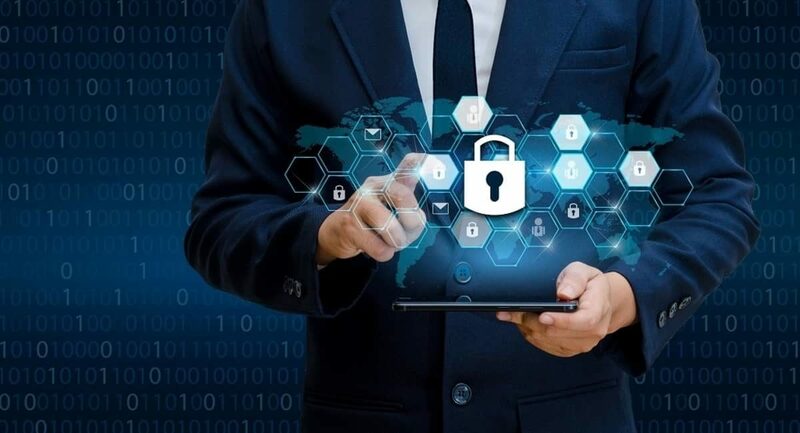 There are a number of programs out there (like BitLocker for instance) that allow you to apply military-grade encryption to any digital device you’re leveraging for document storage. Talk to an IT professional about which tools will work best for your needs. No matter how much effort you put into protecting your physical or digitally secured documents, they may be at risk if kept in an accessible location. To make sure that hard drives or documents are never intercepted and decrypted, consider storing them in safe deposit boxes until needed. Safe deposit boxes provide an extra layer of security to your already protected documents. With that, even the most sophisticated of thieves won’t be able to access your data. While not recommended, some businesses transfer secure documents through cloud storage services. It’s important to know that cloud services, if compelled to do so by the authorities, will release your documents. To better understand third-party service’s relationship with your data, read their privacy policies. If you send documents via cloud services, use their “protected” share features. This will ensure that if somebody intercepts the link to your document, they won’t be able to read your file’s contents. Many businesses print out documents that contain a variety of trade secrets. Unfortunately, most assume that if these secrets get shredded prior to disposal, they’re safe. A number of data miners are extremely adept when it comes to piecing back together shredded information. To truly ensure that your secured documents remain secure upon disposal, find a “secured bins” provider in your area. Then, dispose of your documents in the padlocked trash cans they provide. Client information. Real estate records. Bank statements. These are all examples of documents you may want to preserve. It’s important to know though that all paper deteriorates if left unsealed in closet spaces or filing cabinets. Do you have secured documents that will be sitting for long periods of time unattended? If you do, ensure that you take proper steps to reduce their exposure to the elements. This blog post can give you insight on how long your business might want to hold onto to legal documents. The National Archives provides some guidelines for safe document storage that you can reference here. Many legal professionals advise that people leverage VPN (virtual private network) protection when transmitting information online. Doing so hides your online identity. It also provides data an extra layer of security en-route to its destination. VPN services can be purchased on a monthly basis from a variety of online service providers. They offer individual subscription plans and enterprise-level plans which are suited for organizations that value high levels of discretion. At the end of the day, human error is the number one culprit when it comes to undermining the safety of secure documents. To eliminate that factor, training is paramount. If your document concerns revolve around your business operations, take the time to educate. Talk to anybody that comes into contact with sensitive data about how they should manage it. With a dose of prevention, your business can avoid a world of headaches. It can also avoid civil legal repercussions that come with sensitive data falling into the wrong hands. Depending on the context of how your secure documents are being utilized, there are a number of measures you can take to ensure their integrity. We hope that our tips above have informed you as an individual on how to be more cautious with sensitive data and/or have informed you as a business how to better protect trade secrets and customer information. If you should need any legal help when it comes to your personal or corporate privacy, our team at HALT can help. HALT is a premier legal directory that has been helping both individuals and businesses form lasting partnerships with local attorneys for years. Browse our directory, and get the legal guidance you need today! Chances are that if you are a homeowner, that your home also has a garage. The electric garage door was invented to keep our homes safe. It comes with many benefits that include greatly enhanced convenience and how it doesn’t require physical effort to open. It is incredibly crucial however that an electric garage-door meet legislation and safety requirements to ensure that it is safe to use. This article will focus on the safety standards necessary for an electric garage door and how to find out if whether your door meets them or not. Obstacle detection is a kind of pressure sensitivity that blocks the door from descending at the time it comes into contact physically with an obstacle. Only is this realized through either an intelligent drive unit or movement sensors that detect contact upon an obstruction. This is another pressure sensitivity form. Safety edge is a rubber strip having embedded sensors sensitive to contact fixed at the bottom of the door. In the event that this door touches anything as it descends, the mechanism will prevent injury or damage by reversing. With proper track adjustments on the garage door, the sensors could save future problems. This technology is an innovative one, whereby the infrared light is radiated across the garage entrance. The garage door halts when these beams get interrupted by the by an object’s presence hence hindering harmful contact. The hold-to-run system needs the user to click on a button that is found in the sight of the door to either close or open the garage. This depends on the operator establishing the moment it is safe to have the door used. This method does not facilitate remote usage but eliminates any necessity for physical exertion. Does My Electric Garage Door Meet Safety Standards? Many pieces of physical evidence are there to tell you that your garage door fulfills the necessary safety legislation. First, the CE label should be placed upon the door. This label is an indication that the door proven safe for use. This label also contains additional information on it like the performance characteristics and the product type. There are also two other documents that you should be provided with by the professional garage door installer for safety verification purposes. These are the declaration of performance and the declaration of conformity. These two serves to indicate that the electric garage door you have chosen has been tested sufficiently and certified in accordance with the law. After fully installing your electric garage door, what follows is to stick to develop and trick to a maintenance plan to make sure that it stays in a safe working state. Routine maintenance activities like lubricating wheels and tracks and regular inspections will help you note potential hazards early, therefore, extending the life of your garage door. Now you know all about the safety standards and other important elements regarding the electric garage door. To ensure your safety, it’s important to adhere to these standards set in accordance to legal standards.